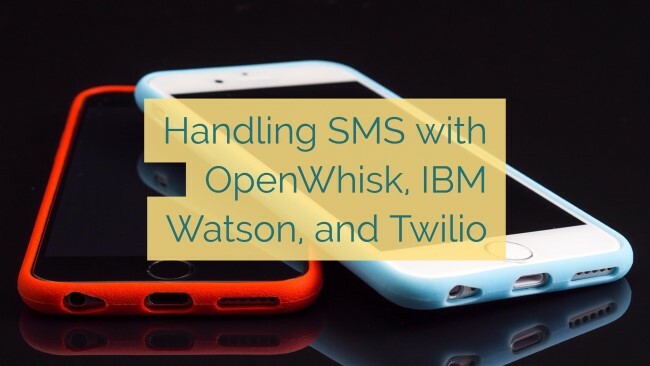 Earlier this week I got a chance to play a bit with Twilio’s API (An OpenWhisk Monitor/Alert POC) and I have to admit I was shocked at how easy it was to use. It got me thinking about what else I could do with it (as an excuse to learn of course) and I whipped up a pretty cool demo I’d like to share. All in all, the results are kind of hit or miss, mainly because of how I tried to “Plain English” the results, but pretty impressive (I think) for approximately one hour of work. So how was this built? The first action is responsible for looking at the SMS message sent by the user. If they didn’t send a picture, respond with help text. Otherwise respond with a “we’re working on it” message. The second action is responsible for looking at the image by using the Watson Visual Recognition service. The final action takes the results from Watson, tries to make a simple English sentence from it, and sends it to the user. 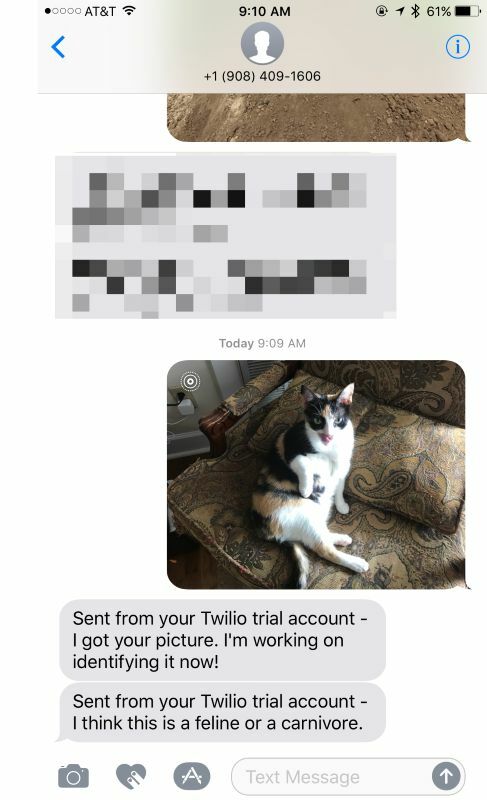 if they sent a picture, we pass the picture on as a result so it gets sent to the next action. if they sent 2+, we ignore them. NumMedia - a value representing the number of images sent in the message. Using that last value, I simply see if they sent me just plain text, and if so, I respond with help text. If they sent me an image, I pass that, along with the From/To, to the next action. Next is my identify logic. It works well, but it bugs me a bit. Let me share the code and then I’ll explain what bothered me. Responsible for sending an image up to Watson and returning the tags. I was sent, BUT that, so I can return tags + original stuff. So, the Watson npm package makes identification easy. But I ran into a problem with the OpenWhisk version. OpenWhisk has a slightly older version of the package. That meant the sample code didn’t work exactly as I would like, specifically there wasn’t a constant for version_date in the package. It was easy to fix, but kinda threw me a bit. 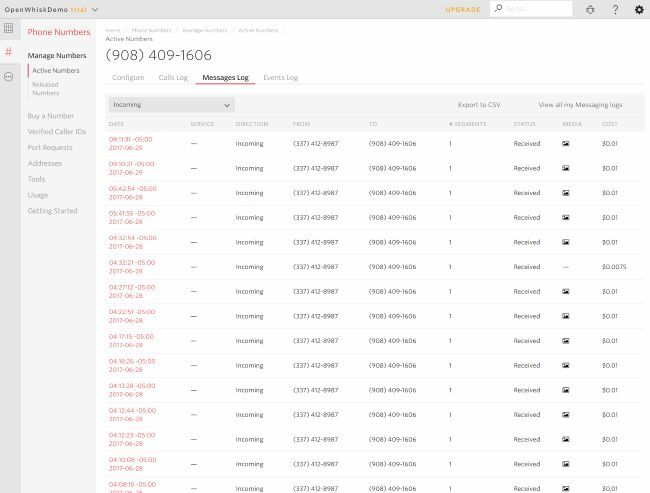 My first action has information about the SMS message that I need my last action to know, specifically, who to send the message to and from what phone number. In order for action 3 to have this, I have to pass it to action 2, and action 2 has to pass it on as well. I felt like I had … I don’t know, “sully” my pure action a bit by having it handle stuff that wasn’t it’s responsibility. Unfortunately, there really isn’t a clean way of doing this. I mean, I could store data in a Cloudant record and clean it up when done, but that felt way over-engineered. In the end, I grimaced, and got over it. ok, so if #1 doesn't tie with #2, return "1 or maybe a 2"
if it ties, return "1 or 2"
As you can see, the main thing I do is try to create a plain English version of the results. This not very intelligent. For example, I don’t use “an” instead of “a” when the tag begins with a vowel. I could also make it a bit random so it seems more human. But in the end, it worked ok.
All in all, everything worked very well. I did see some lag at times with Twilio. For example, I had 3 test messages show up a few hours late. I’m not sure why and I guess I could investigate more on why. That’s probably the cell network more than anything else. 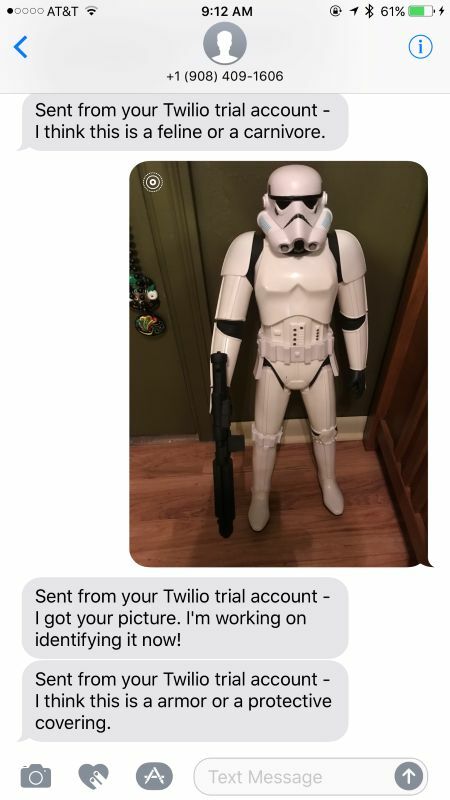 I can say that the dashboard Twilio has for messages is hella good as well. It provided a wealth of data and helped me test.